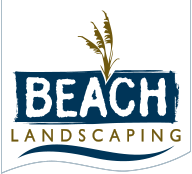 Beach Landscaping, Inc. is a family owned and operated Myrtle Beach landscaping company, servicing Myrtle Beach and the coastal Grand Strand area. Our mission at Beach Landscaping is to provide consistent, high-quality service at an affordable price. At Beach Landscaping we take pride in understanding our customer’s needs and reacting to any issues in a timely manner. Others may just mow, blow and go. We treat your landscaping as if it were our own. Our customers know that we will return their calls promptly and make appropriate modifications in service quickly. We are licensed, insured and have our SC Certified Applicator License. We are members of the South Carolina Nursery and Landscape Association, the Myrtle Beach Apartment Association, the Grand Strand Pest Management Organization and Business Networking International.